This is me. Or at least the back of my head. And this is my About Me page. Click on any of the images below to see some related stuff. This is my Wacom tablet, where I spend most of my time. 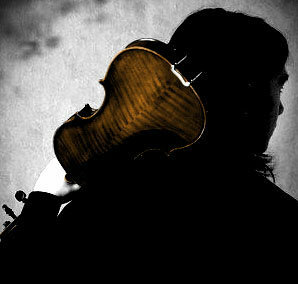 This is my violin, Franscesco Giovanni. We play a lot of Irish music together. I tell people I'm from the Far (far) East part of Ireland. I also teach. Like most zombies, I love brains. Unlike most zombies, I prefer talking and reading about brains to eating them.